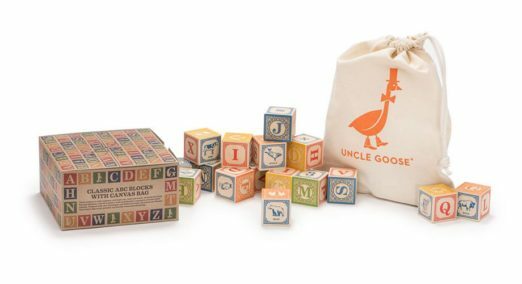 Receiving a set of Uncle Goose block's makes you feel like all is right in the world. A kind of goodwill toward all creatures quality is embodied in these small toys. Uncle Goose, based in Grand Rapids, Michigan designs and makes these spirited and elegantly designed blocks that have all the hallmarks of a well made object. One of the original advocates of good design meets good practice, they have been at it for 35 years. 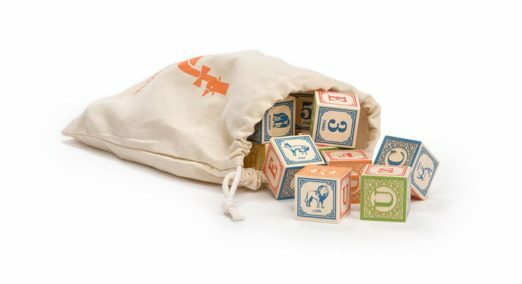 Complete ABC blocks with canvas bag for sale here. The planet blocks are a staff favorite at Uncle Goose. The set of nine blocks includes each planet’s symbol, name, and number of moons as well as illustration, diameter, location in our mighty solar system and distance from the sun. 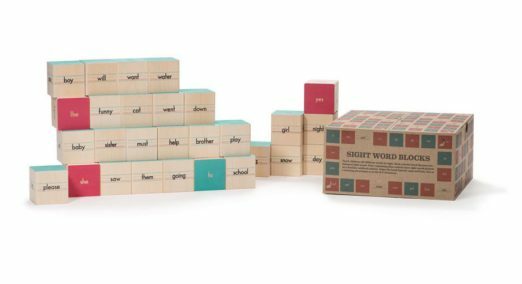 Uncle Goose's 28 block American Sign Language set has two embossed sides meaning part of the design is raised so you can feel it - babies find such things magical and perhaps as adults we could learn something from such a simple delight. What's the point of knowing state flowers and birds beyond civics class? Turns out not only is it fascinating to see Arizona's state flower,the saguaro cactus in bloom but in the process you may stumble upon the history of the Papago and Pima Indians who harvested its sweet fruit to make syrup. Beneath each quick facts lies potential for a broadening of our understanding and our children's of history and place. Each of the fifty blocks has the state silhouette, name, its capital, state motto, bird, flower and tree. We never tire of nursery rhyme interpretations and adding to our collection of tales big and small. From Little Boy Blue to the poor blackbirds who got baked in a pie - you'll find them redressed in a lovely new format. One more note on materials. Basswood. You know this wood, think model airplane. It's lightweight, a natural blonde beauty and comes from the linden tree which is native to the midwest among other places. Basswood is the wood of choice for Uncle Goose's blocks for many reasons: lightweight, soft, subtle grain, fast growing (read: sustainable) and it ages well so can be passed on to the next generation. Adding to the list of fantastic qualities, the linden tree is a planet earth superstar whose lineage spans 70 million years and you can make a salad with its leaves. An introduction to the atomic world and the great minds whose quest to learn more about the world we live in and the atoms that make up the things around us led to the periodic table as we know it today. Each of the 20 element blocks features atomic number, symbol and name. As you can see there is a lot behind our major toy crush. We could not be more excited to make a place for Uncle Goose in our little corner of the world. Give us a call for availability or shop our online store. We think you will cherish them as much as we do! Love art + science? Check out We Are Brainstorm art prints.